first of all you have to come minimum one hour before your start time. 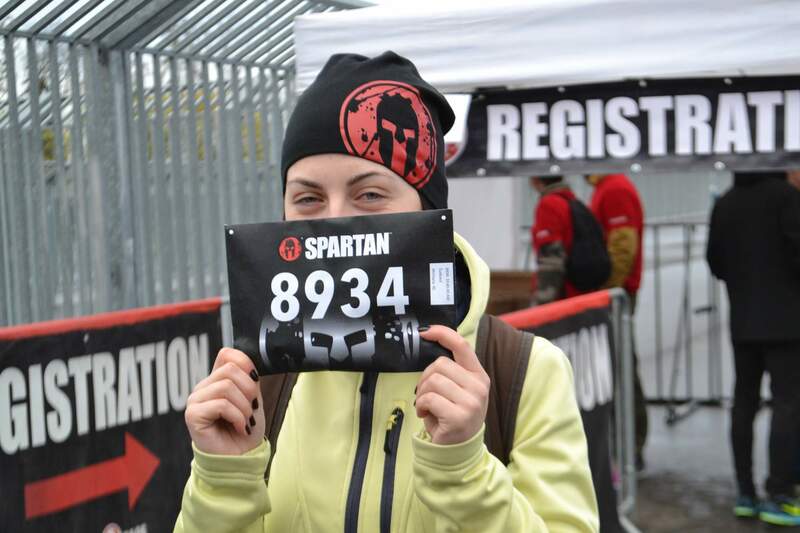 right after your arrival to the festival area search for tent with BiB numbers. 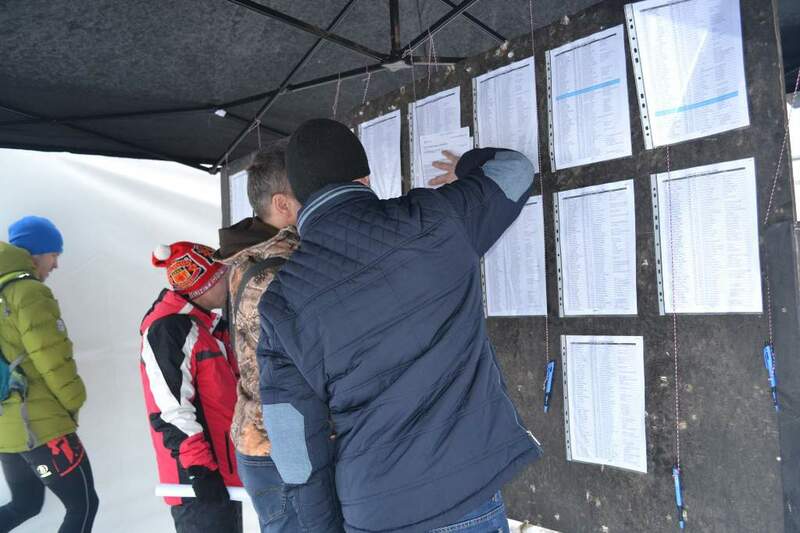 Even If you know already your BIB # please, check actual start list and confirm you have correct number. 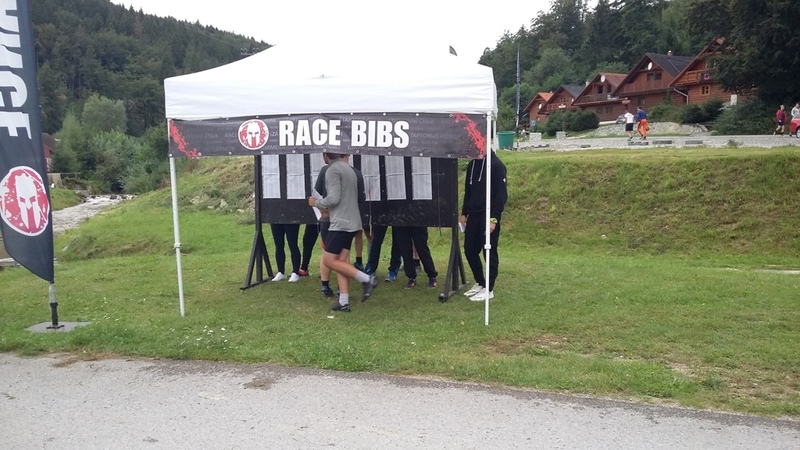 The start list is created in alphabetical order. In case you made a mistake during online registration and you have mistakenly entered your first name as family name, you may have problem to find yourself in the start list. 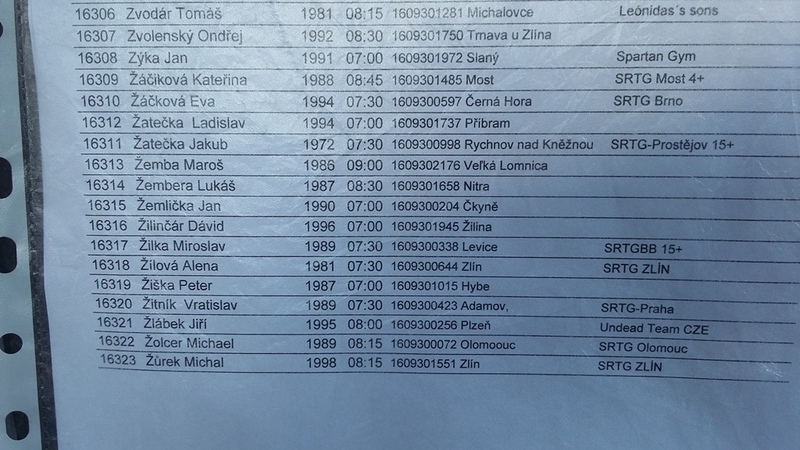 Some names are highlighted in the start list with blue color. It means these people have the identical both names - name and surname. If this happen to you too, beware and look for other distinguishing features such as - age, city, start time, team name and reg ID. If they are registered for example, father and son with the same names, it is likely that all other data will be the same too. In such a case, the persons can be distinguished on the start list only according to the age or registration ID. 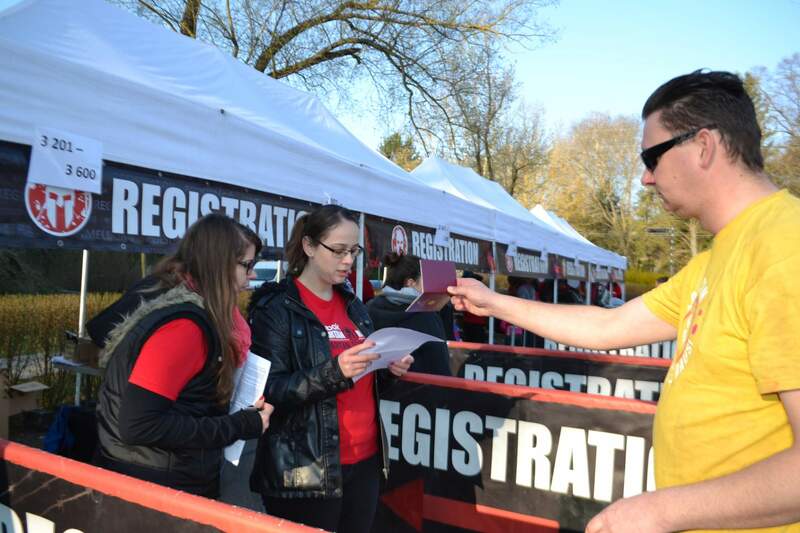 move to Registration tents with signed waiver and photo ID and stand up to the line with your BIB #. 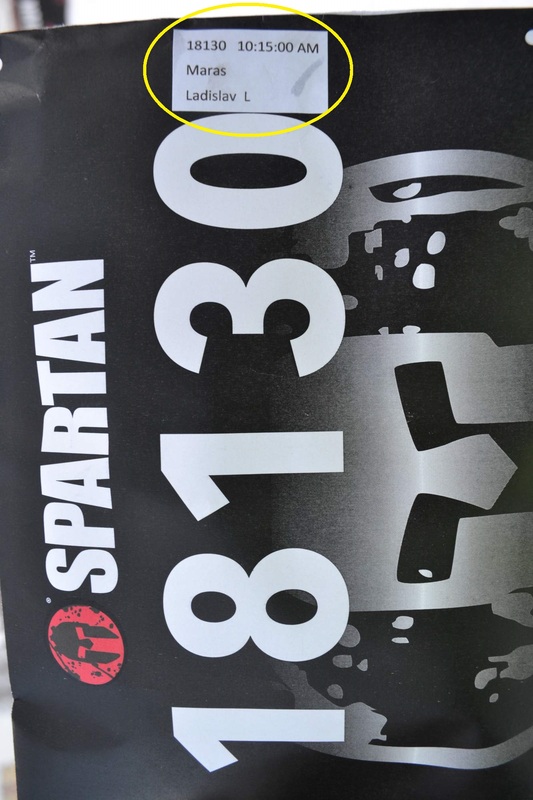 check all data if are correct on the envelope label when you handover your starting packet. do not open the envelope, but go to the exit of the registration sector where the TV screen is installed. 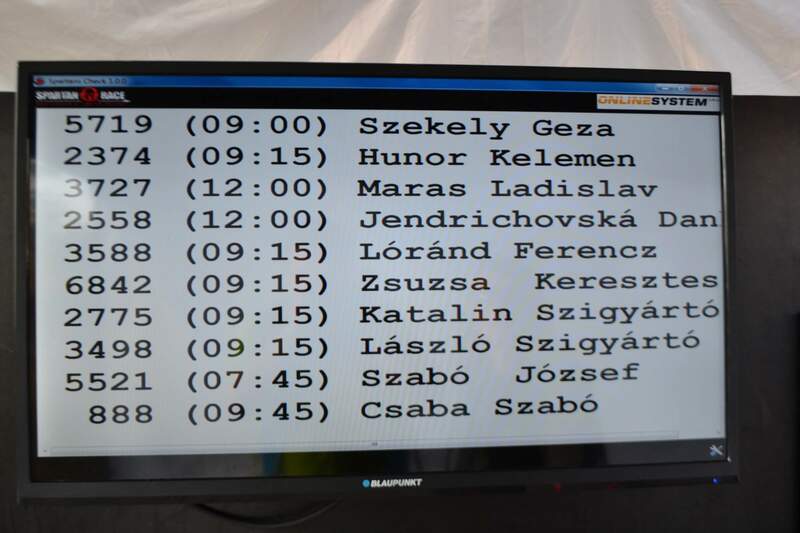 As soon as you step on timing mat, you will see your name and start time in the first line of the screen. After this check of the functionality of your timing chip after leaving the registration sector, attach the chip and all wristbands from the envelope to your wrist. What should be included in the starter packet read here. 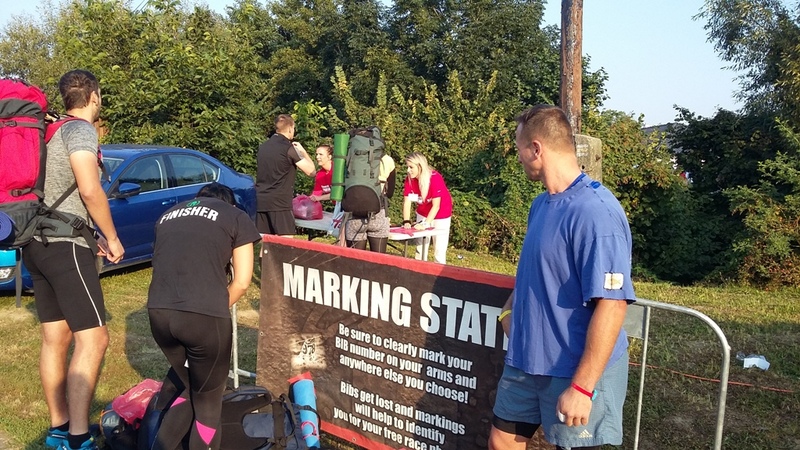 Marking station is also located near the exit. 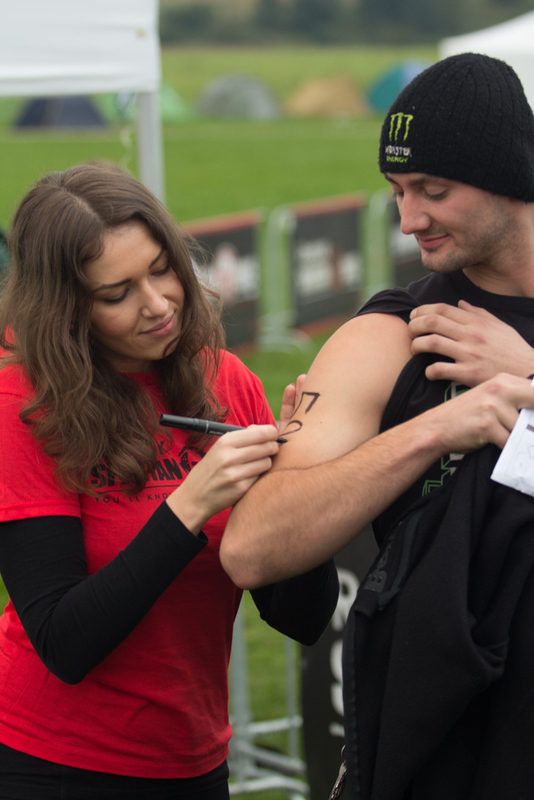 Here our volunteers can write your starting number on your body. This is not mandatory, but it will help in the search for photos. Once you have tagged yourself, you can put your personal belongings in a depository. Tents are marked as BagCheck. The fee is 1 euro per piece of luggage for the whole day but fee have to be paid directly in the registration sector in the main cash desk, where do you get token for Bagcheck. Approximately 15 minutes before your scheduled start, the warm-up will begin near the stage. approx. 3 minutes before your start, you will go to the start corral. 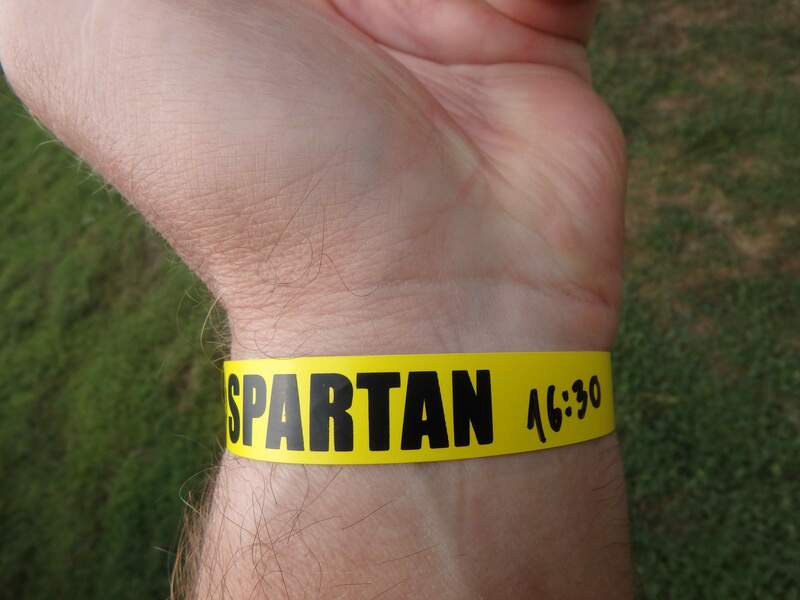 Each racer must show the wrist band with his start time to volunteers in front of the entrance to the corral. If time does not agree, you will not be allowed to go in. 30 seconds before start the smoke grenade is throwing on the ground in front of runners. 10 seconds before start MC begin count seconds to the start. You can count and yell together.